German chemicals and pharmaceuticals giant Bayer said Thursday that it would begin integrating seeds and pesticides maker Monsanto after a mega-merger, but its stock price was battered by the US firm's legal woes. Two months after the $63 billion deal -- the biggest ever foreign takeover by a German company -- Bayer completed the sale of a final tranche of crop science businesses worth 5.9 billion euros ($6.7 billion) to rival BASF under concessions imposed by cartel watchdogs. 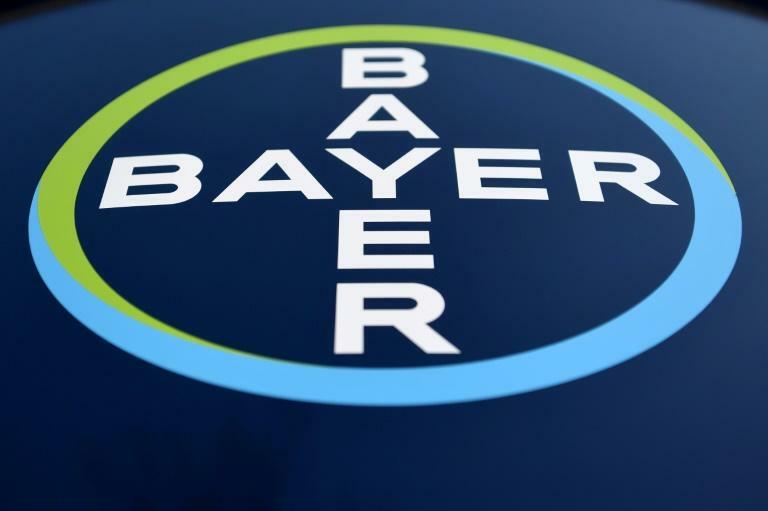 With competition authorities' conditions met, "the integration of Monsanto into the Bayer Group can begin," the Leverkusen-based company said in a statement. But any hoped-for honeymoon after the successful conclusion of the groups' two-year courtship was over before it began. Investors have shied away from Bayer's shares since Monday, after a jury last week awarded a dying California groundskeeper almost $290 million, finding that flagship Monsanto weedkiller Roundup caused his cancer. Then California's supreme court declined late Wednesday to hear Monsanto's appeal against the state's decision to list key Roundup ingredient glyphosate as a carcinogen. Approaching 1500 GMT on Thursday, stock in Bayer was down 5.4 percent at 76.41 euros in Frankfurt, having lost over 18 percent this week. In the groundskeeper's case, "Bayer believes the jury's decision is at odds with the weight of scientific evidence," the group said in its statement Thursday, adding that Monsanto would appeal. Bayer points to "scientific evidence, decades of real world experience and the conclusions of regulators around the world that all confirm glyphosate is safe". However the California ruling has shown juries can be convinced otherwise. Around 5,000 other US court cases are pending, meaning the acquisition has left Bayer open to potentially massive legal costs estimated by analysts at up to $10 billion. And a decision by World Health Organization unit the International Agency for Research on Cancer to label glyphosate a carcinogen -- long contested by Monsanto -- weighs on its reputation in the United States and further afield. The European Union last year renewed the chemical's license for five years rather than the usual 15 after intense campaigning by environmentalists, with some members like Germany and France planning to limit glyphosate use or ban it. German news weekly Wirtschaftswoche reported Thursday that Brazil may ban glyphosate altogether from September. Such moves could slash future sales of Roundup and upset the Bayer/Monsanto business model of selling pesticides alongside genetically modified seeds designed to withstand them. The intensity of distrust towards Monsanto -- also dubbed "Monsatan" or "Mutanto" by opponents -- is so great that Bayer plans to discard the name altogether once the merger is complete. But activists have vowed to continue pressuring the company whatever it calls itself. For its part, where previously Bayer was muzzled in Monsanto's legal entanglements, full integration means it "also gains the ability to become actively involved in the defence efforts in the glyphosate trials and any other legal disputes," the group said. Some US farmers have brought lawsuits against Monsanto over the herbicide Dicamba, a chemical compatible with certain genetically-modified crops that they claim damaged harvests in neighbouring fields. Alongside glyphosate, Bayer singled out "potential claims for damages in connection with the product Dicamba" as targets for legal pushback. And while there have been some big wins for Bayer and Monsanto opponents in recent days, analysts note that environmentalists have questions of their own to answer. "We see a signficant pushback around the use of glyphosate, but what is the alternative? The two other most common herbicides used in the US after glyphosate are both banned in Europe," Berenberg bank analyst Alistair Campbell said.